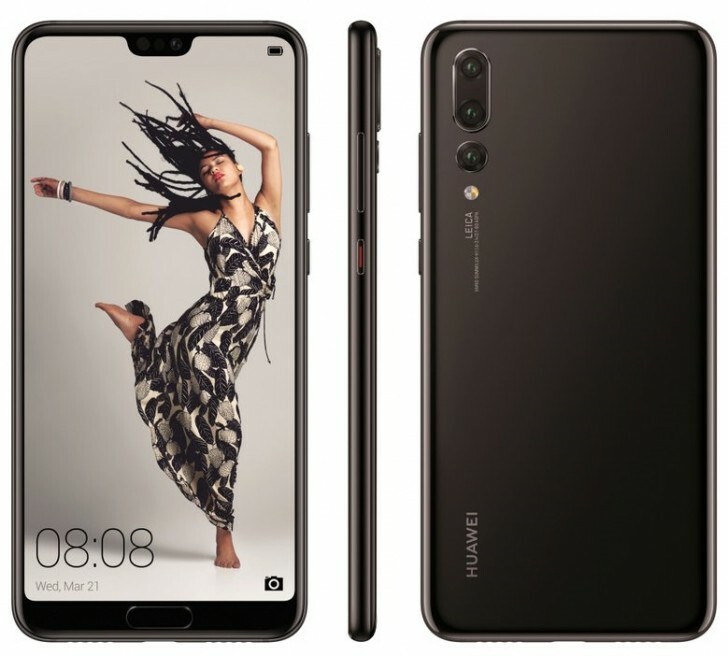 Ahead of Huawei's grand unveiling event that takes place on March 27, Evan Blass (better known as @evleaks) has decided to give the company's entire P20 family the leaked press render treatment. The images show iPhone X-inspired screen notches on all three models. The P20 and P20 Lite get dual rear cameras, while the P20 Pro will have the much rumored (and teased) triple shooter setup on its back. All of the phones' rear cameras are aligned vertically on the left, a move that once again seems inspired by Apple's latest top of the line smartphone. 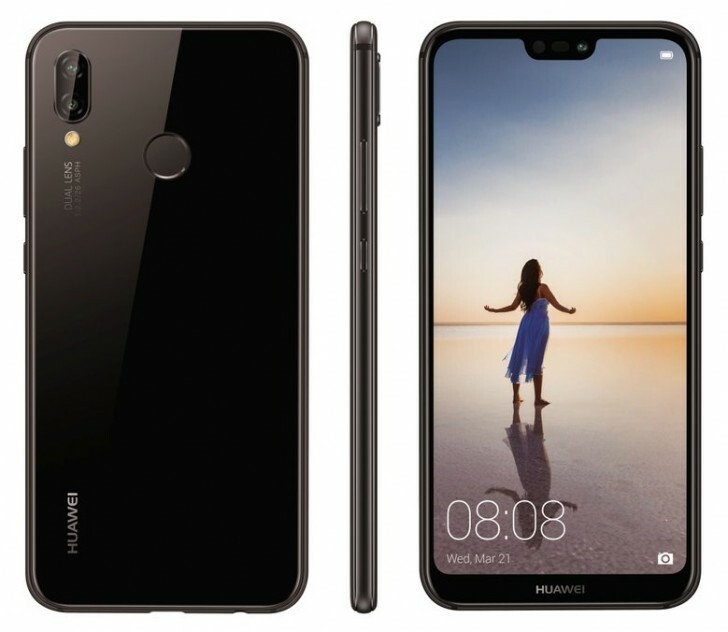 Oddly though, a Huawei teaser video that surfaced earlier today showed a horizontal outline at the top left of a handset's back, which led us to believe that the P20 Pro's triple rear cameras will use that alignment. Since Evan Blass usually outputs very reliable leaks like these, color us confused on this matter. Then again, most of the recent leaks regarding the P20 family (including an official-looking promo from yesterday) showed vertical camera arrangements, so that teaser is pretty much the only outlier. 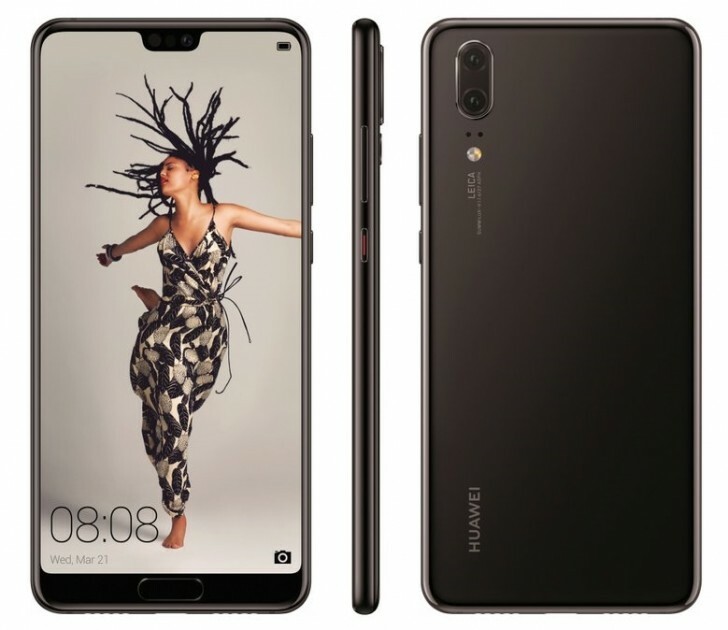 Still, it comes from Huawei itself so you should probably take the images outed this time around with a healthy dose of skepticism. That is, unless the Chinese company was just trolling. The design of the P20 and P20 Lite has already been confirmed by appearances at TENAA, the Chinese regulatory agency. The P20 Lite is going to come with a 5.84" 1,080x2,280 19:9 screen, a 16 MP + 2 MP rear camera setup, a 24 MP selfie snapper, 4GB of RAM, 64GB of storage, and a 2,900 mAh battery. It will run Android 8.0 Oreo with EMUI 8.0. In the Eurozone, the P20 Lite should be priced at €369, the P20 will go for €679, while the P20 Pro will ask for €899 of your hard earned cash. Expect the cheapest model to rock a mid-range Kirin chipset, while the other two should have the flagship-level Kirin 970 at the helm. I wanted to upgrade from my P9 Lite (which has been good so far) but what are these specs + design? Barely an upgrade and the notch is horrible!